"There are only two planets in this solar system that would offer a chance of survival to a Gxz," the geoanthropologist told the commander of the starship after having examined the data from the probe. "They are the sixth one from the sun and the eight one towards the sun." The commander turned towards the astronavigator. "Current position?" The navigator moved his tentacles quickly on the keyboard, "We are approaching one of the three orbits that are between the two mentioned by the anthropologist; the most internal one of the three, to be precise." "What is this planet like," the commander asked. "Uninhabitable," replied the geoantropologist. "The atmosphere is full of lethal gases such as oxygen. Gravity is moderate, and there's bucketloads of a mixture of hydrogen and oxygen without any silicon whatsoever; just thinking about it makes my verrucas crawl!" "How many planets in this solar system?" asked the commander. "Less than 12," the astrophysicist replied, peering at the instruments. "The exact number is..."
That's the end of the commander's log, found within the wreckage of the starship, and painstakingly translated. 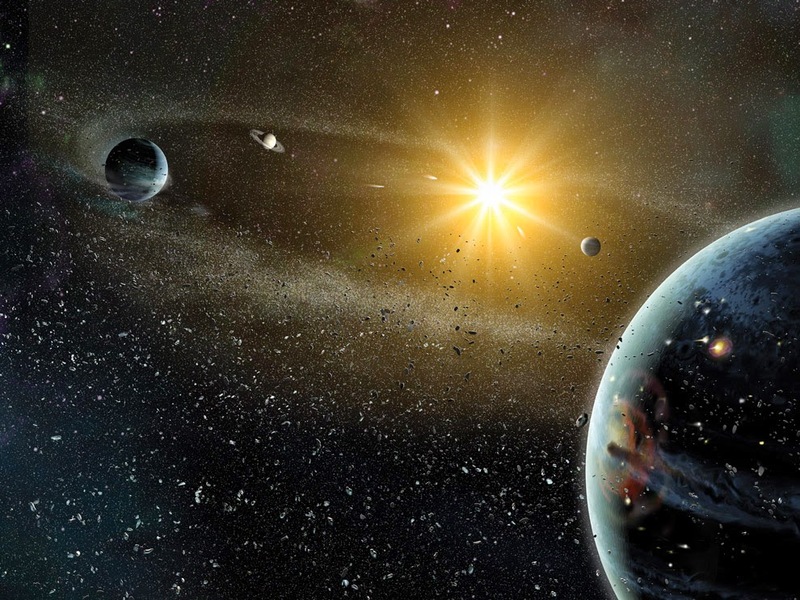 How many planets did that solar system contain? The answer is nine planets. The geoanthropologist states that one of the habitable planets is eighth toward the sun, so there must be at least 8 planets. The navigator mentions that there are 3 planets between the 6th planet and the 8th towards the sun. The only number that can satisfy both statements is the number nine. You will then realise that the navigator was talking about Earth.